And we hear that Comcast is none too happy about it. By Victor Fiorillo·	 4/14/2017, 11:12 a.m. Although President Donald Trump‘s approval rating is hovering around just 48 percent, someone in Philly sure does like him. 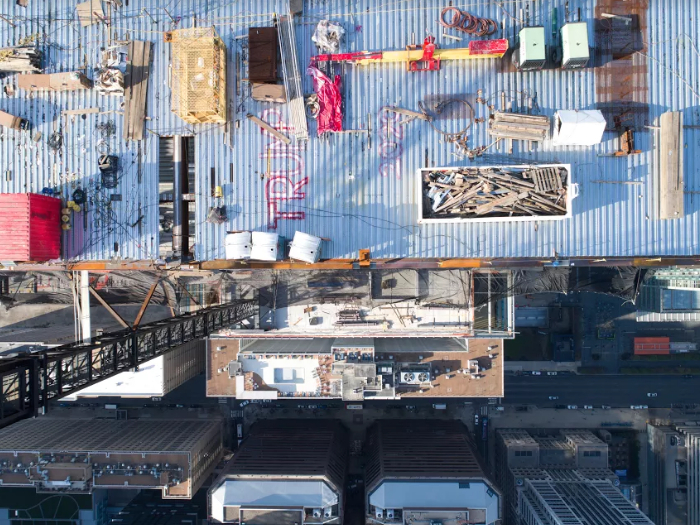 Earlier this week, a local drone enthusiast was flying his unmanned craft around Center City when he decided to take it up above the under-construction Comcast Technology Center, the 60-floor skyscraper that will house a Four Seasons hotel, Comcast offices and television studios, and luxury residences when it opens next year. 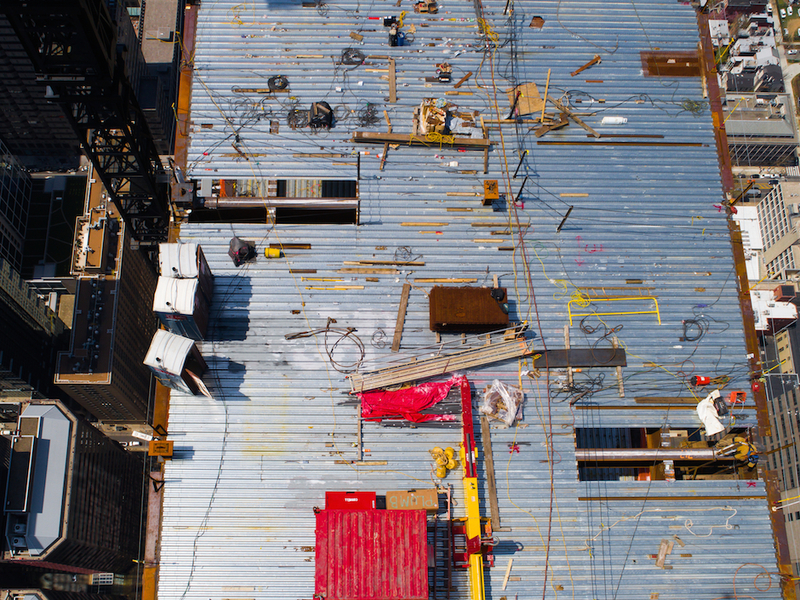 As the drone climbed to 1,300 feet, the operator zoomed the quadcopter’s 20-megapixel camera in on the roof of the rising Comcast building, as the images captured were transmitted in real-time to his iPhone interface on the ground. He was just expecting to grab some cool shots of the structure and of the crane on top. (He loves cranes.) 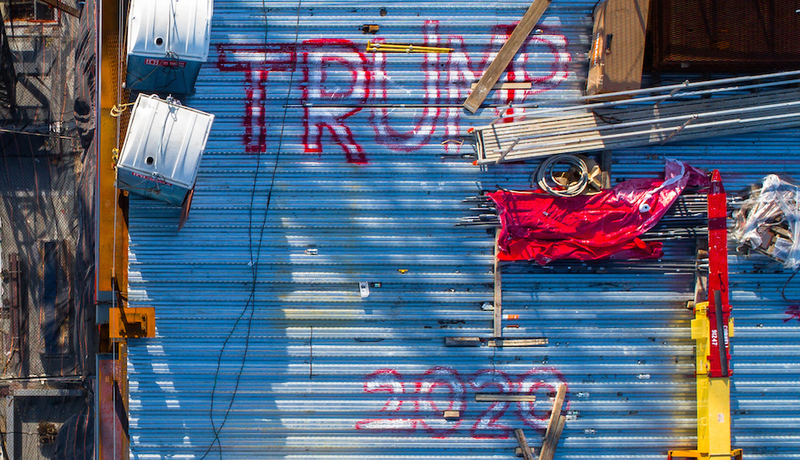 What he didn’t expect to find was this: “Trump 2020” painted on the blue steel roof in large red and white letters, right near the porta-potties. On Wednesday, we heard that Comcast had become aware of what was sitting on top of their $1.5-billion project and that officials were none too happy about the graffitied political statement. 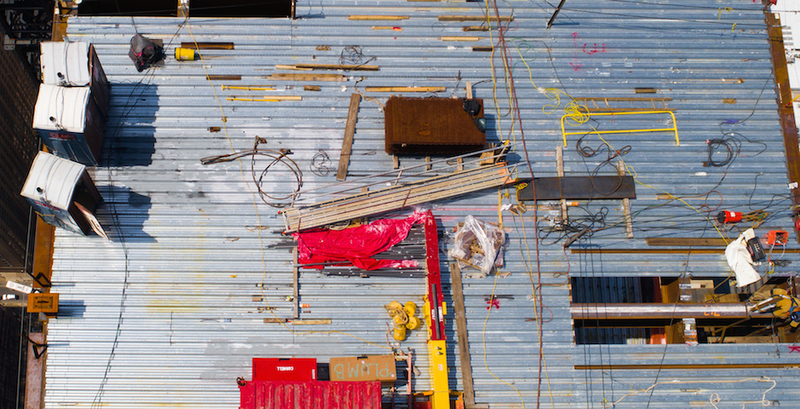 Later that day, the pilot sent his drone back over the building and snapped more shots. But on Thursday, when he decided to go up yet again, it was apparent that someone relayed Comcast’s message of disapproval to the crew on the roof. 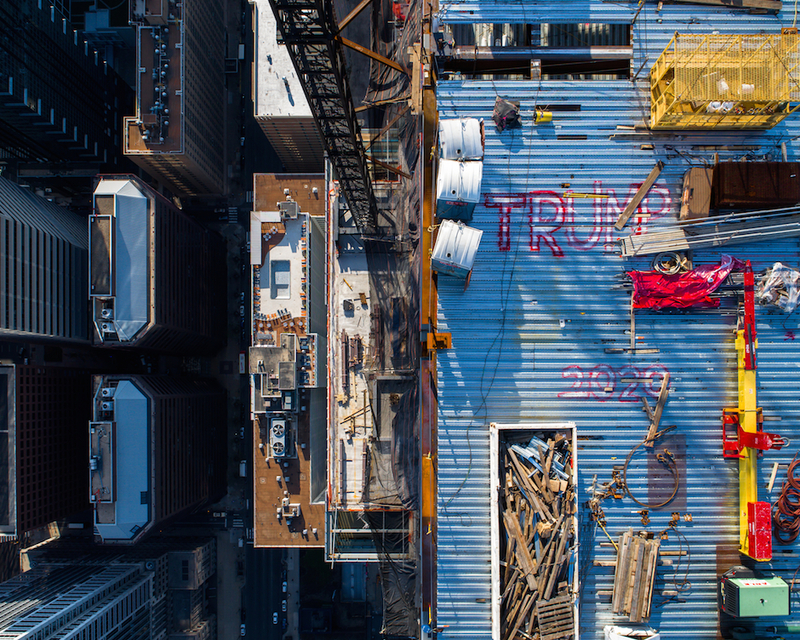 Sometime between Wednesday early evening and Thursday at 1 p.m., the “Trump 2020” graffiti was scrubbed from the Comcast tower. But if you look closely at this detail of the photo he took on Thursday, you can still make out some of the letters as well as the number two. We reached out to Comcast to see what the official word is on the “Trump 2020” graffiti. 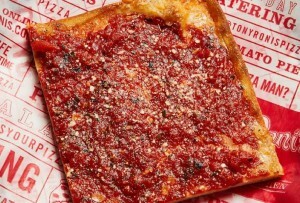 They directed us to Liberty Property Trust, the developer behind the new Comcast building. Gattuso says that, as far as he knows, the perpetrator has not been rooted out just yet. Maybe Comcast needs a drone of its own.